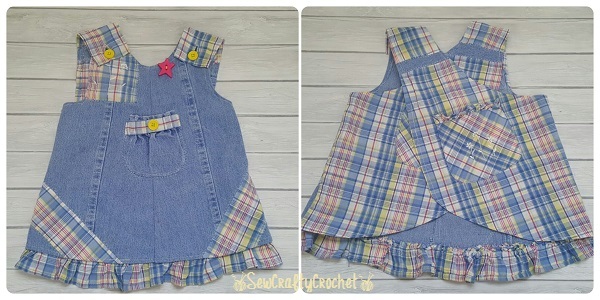 So the third pinafore I made for my daughter was an upcycle/refashion project. My mother's neighbor gave me a few clothing items for my daughter, but they were size 4T. She was just a baby, so it would be a long time before she could wear the dresses. So once I figured out how to operate my sewing machine without sewing my fingers together, I decided to make these two dresses into something new. This was my 1st refashion/upcycle project. 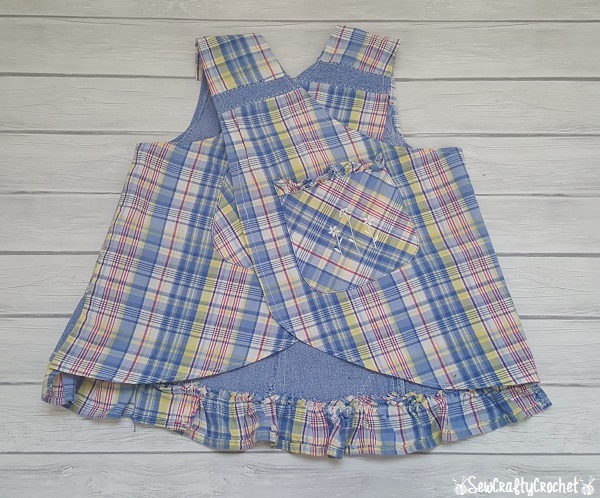 And I tried to make matching bloomers using the left over fabric from the two dresses, but I was having technical difficulties with my sewing machine, so I couldn't figure out why the thread kept bunching up under the fabric and why the machine kept eating the denim. Anyhoo, I gave up on the bloomers and bought a cute pair of white shorts and a pair of hot pink shorts and decided the my daughter would wear the pinafore with shorts underneath. Again, I used the pinafore sewing pattern from Smashed Peas and Carrots. the originals... 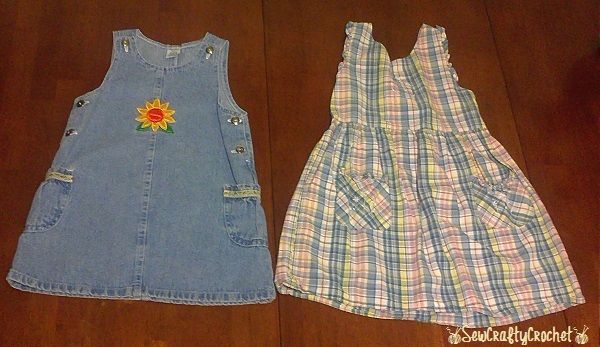 I used the denim dress for the front of the pinafore, and the plaid dress for the back of the pinafore. front & back... I added a pocket to the front of the pinafore. 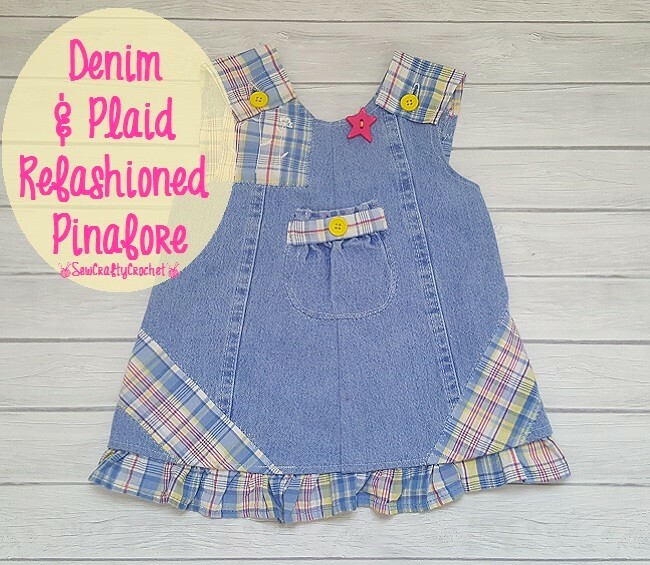 I left the original pockets from the plaid dress on the back of the pinafore. I added a ruffle to the bottom of the pinafore. I think this shade of denim matches perfectly with the blue in the plaid fabric. I used yellow buttons to fasten the straps and on the little pocket on the front. I added strips of denim to the back of the pinafore. I'm glad I kept the original pockets from the plaid dress. I think they're cute, especially since they have flowers embroidered on them. So cute. You do remarkable sewing projects. 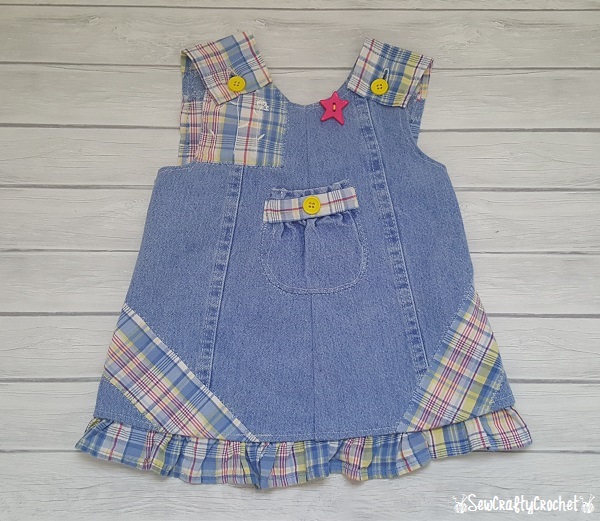 Thank you so much for sharing your adorable sewing project at Snickerdoodle. Oh my goodness!! This dress upcycle is too cute!!! 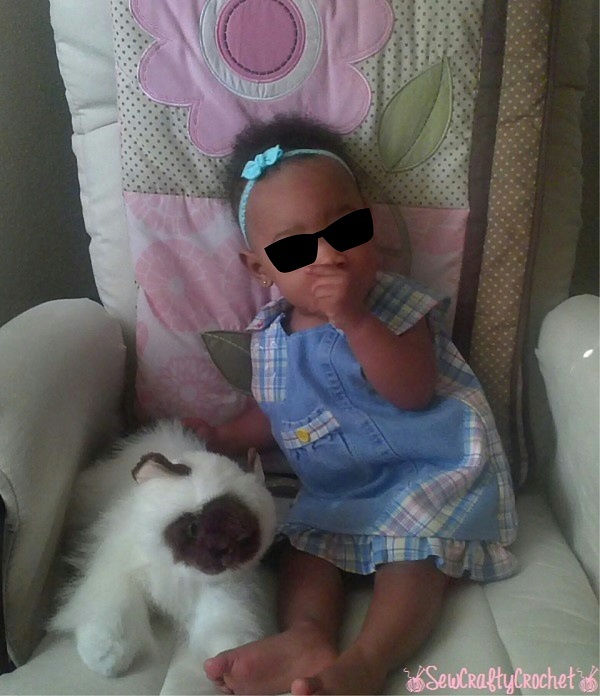 You did an amazing job and your daughter looks so adorable!!! This is a fantastic upcyle . You took two old pieces and created a beautiful new one. Love this new look and of course I love your model.